Emmy winning reporter Robert Bazell was Chief Science and Health Correspondent for NBC, with his reports (of which he has made more than 3500 to date) appearing on NBC Nightly News, Today and Dateline NBC. Bazell has been awarded a trio of Emmys, most recently for his reporting on the medical care available for US troops in the Iraq war. Two others were awarded for reports on the human brain. Amongst many other prestigious awards, he has been honored with the George Foster Peabody Award for distinguished achievement and meritorious service in broadcasting; the award citation described him as “An outstanding television reporter.” His tracking of the spread of HIV/AIDS, which began pretty much at ground zero of the epidemic, has taken him all over the United States, Africa, Europe, the Caribbean and South America. The Planned Parenthood Federation gave him the Maggie Award for this reporting, and it also earned him the Alfred L.DuPont–Columbia Award. Bazell enjoyed a notable academic career before becoming a reporter, graduating Phi Beta Kappa from the University of California at Berkeley in biochemistry, going on to undertake graduate work in biology at the University of Sussex, England and then returning to Berkeley for a Ph.D. in immunology. His book HER-2: The Making of Herceptin, a Revolutionary Treatment for Breast Cancer became the Lifetime movie Living Proof starring Harry Connick Jr. 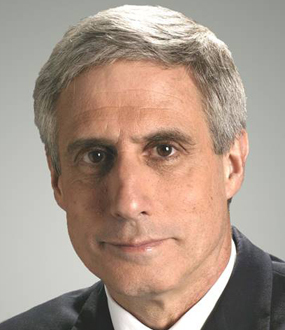 He began his reporting career as a writer for Science Magazine, moving on to work as a reporter for The New York Post then NBC New York before joining NBC, where he has been employed for almost forty years. His extensive tracking of the AIDS epidemic, which began in 1982 when there were only a handful of cases, has included reports from all parts of the United States, Africa, Europe, the Caribbean and South America, and earned the Alfred I. duPont-Columbia Award and the Maggie Award from the Planned Parenthood Federation. 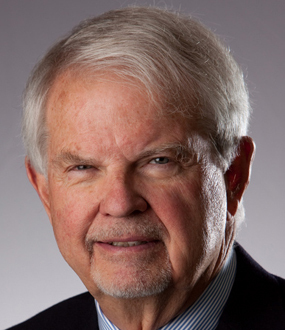 Bazell has won two Emmys for reports on the human brain. During his career with NBC News, Bazell has reported on a wide range of subjects in the areas of science, technology and medicine, from throughout the United States and around the world. NBC viewers have long known that when there is a major breakthrough in science or medicine, Bazell will be there to explain it in a lively and understandable way. 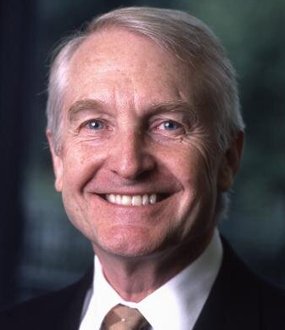 Bazell is a 1967 Phi Beta Kappa graduate of the University of California at Berkeley with a B.A. in biochemistry. He did graduate work in biology at the University of Sussex, England, in 1969, and was awarded a doctoral candidate degree in immunology at Berkeley. 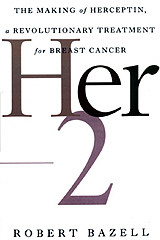 Bazell′s book, HER-2: The Making of Herceptin, a Revolutionary Treatment for Breast Cancer (Random House, October 1998) was made into a 2008 Lifetime movie called Living Proof starring Harry Connick, Jr. and Bernadette Peters. 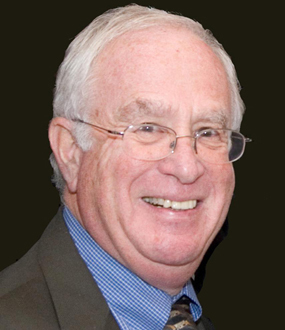 Robert Bazell employs his vast experience of health care issues to give a fascinating speech on Cancer: Progress and Profits in which he examines the development of new treatments for the disease. He reviews the history of the disease and its treatment: “It's an ancient disease," he tells his audience, “even going back into the fossil record we find evidence of cancer. It's also an ancient human disease, this is a papyrus that talks about a physician in ancient Egypt who is treating what was almost certainly breast cancer." Looking at what is being done nowadays for cancer patients, he examines treatments and their costs, what he describes as “The astounding amounts of money that are being asked for new drugs, and it gets worse, for example Novartis which make Gleevec tripled the price in one year from $30,000-$100,000, that comes out to just under $300 a day for the rest of your life to stay alive." Bazell also explores the causes of cancer and what can be done in terms of preventative medicine. He explains, “For a lot of people, it's just bad luck, a genetic roll the dice, nothing to do with anything they did, we can't ignore that, and prevention is really tough; try to cut down smoking even, try to cut down obesity, it's a huge challenge for public health. Drawing on four decades of experience reporting on disease and treatments, Robert Bazell presents a series of programs relating to medical matters. He can give a fascinating talk on the history of cancer and its treatment and differing approaches in methodology, as well as improved public awareness and acceptance of sufferers. Other programs Bazell can offer encompass new developments in healthcare, the ways in which we can develop methodologies for healthier living and the place of medicine in the media. Bazell presents a history of the disease and its treatments, set in the context of his own television reports dating back to the 1970′s. Demonstrating a deep understanding of the science involved with the war on cancer, Bazell tackles the evolution of cancer diagnosis and treatment; how scientists are unmasking the disease at the cellular and DNA levels; methods and philosophies behind differing treatment protocols; and the improved public awareness and acceptance of those afflicted with the disease. Medicine and the Media: Deciding How Much Is Too Much? The drama of medical research and breakthrough comes alive in this admirably objective report from the veteran chief science correspondent for NBC News on a promising advance in the treatment of breast cancer. Based on the once-shunned use of antibodies in cancer treatment, the breakthrough has come about, Bazell explains, through the efforts of biotechnologists, medical researchers, clinical doctors and patients who have participated in experimental trials, as well as through the work of aggressive political activists and fund-raisers. Bazell paints a complete picture of the development of the nontoxic “miracle” drug known as Herceptin, which purportedly halts and reverses the “overexpressed Her-2 protein” affecting 30% of breast cancer patients, shrinking and even eliminating spreading tumors. 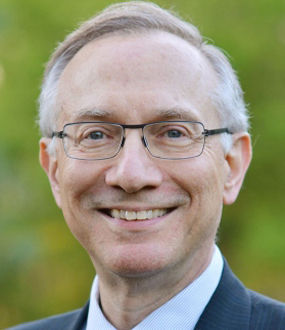 The author follows the divergent viewpoints of various involved parties, including Dennis Slamon, the UCLA researcher who for too long tried in vain to convince top cancer specialists to support his theory and proposed trials; officials at Genentech, the biotechnology company that will produce the drug; and women whose breast cancer was treated in experimental trials. Their stories create a balanced and deeply informative look into the world of medical research, into the cutthroat competition for credit that arises when breakthroughs occur and into the psyches of patients who learn that they must fight for even a slim chance at hope.